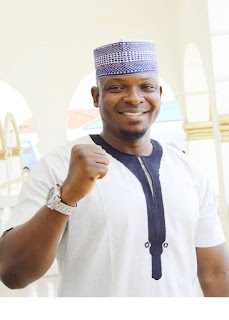 Chief Diekola Ismail Adefowope who is seeking to represent the people of Iwo Federal Constituency, Osun state in the House of Representatives, Abuja is set to donate a school bus and other items for his constituents. A statement issued by Chief Adefowope revealed that the donation and distribution would made during an empowerment programme slated for 20th of May, this year at the Iwo City Hall. Items to be distributed include hair dryer, grinding machine, notebooks and texture to students. A bus would also be donated to the Federation of Iwoland Students Union. Beneficiaries of the widows mite would be drawn from Iwo, Ola-oluwa, and Ayedire local government areas of Osun. Chief Diekola Ismail Adefowope was born on 10th of November to the family of Alhaji and Alhaja Adefowope of Fojugbaji Compound, Isale Oba, Iwo. He started his elementary education at Baptist Day School, Feesu-Iwo and then went to prestigious Iwo Grammar School, Iwo for his secondary education where he graduated in 1989. Young Chief Adefowope also underwent apprenticeship training as a mechanic between 1990-1994 in Iwo and practice the trade in Ivory Coast and South Africa before he received additional education in India and Canada. Oluomo Adefowope worked with a German Company as a liason officer in Lagos. He later became Procurement Personnel covering the entire Africa for the German Company for many years before he started his own Building construction company and real estate business in Lagos. Oluomo Ismail Adefowope has attended many national and international trainings and workshop on Business Development Management, Health Safety and Environment, Human Capital Development among others. Oluomo has lived and visited many western Countries. He's well traveled and connected. Oluomo Diekola Ismail Adefowope has contributed a lot in raising the standard of living of his people in Iwo. He is an humanitarian per excellence. His philanthropic gesture attracted HRM Oba Moshood Oparonke to him who bestowed the coveted chieftaincy title of Oluomo Feesuland on him on 16th of December, 2017. Oluomo speaks French and English fluently. He is happily married with beautiful and promising children.